An unpopular pig rustler from a poor African village is caught and hunted down by a gang of local men after a nightly raid goes bad. 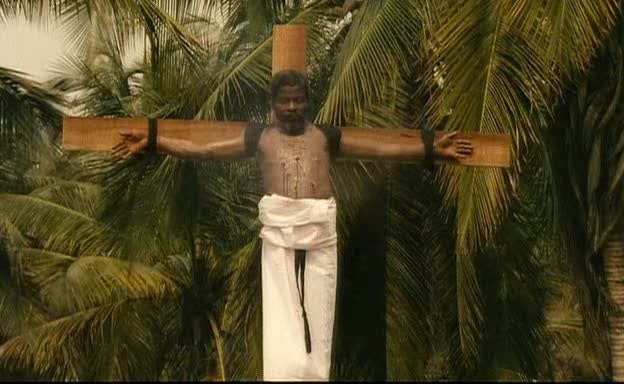 Left for dead in a river, he drifts downstream until he revives and experiences a vision in which a child angel dubs him Magloire the Great and declares him a prophet and cousin of Christ. 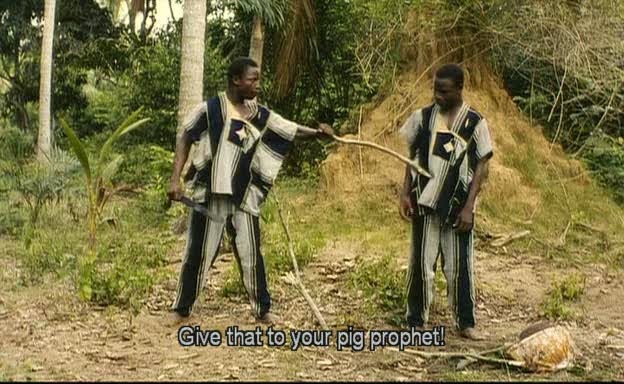 The villagers are initially skeptical, but Magloire's impervious confidence, innate showmanship and sketchy miracles (including blinding and restoring sight to a local ruffian with the help of some homemade mace, 'curing' a much-neglected crazy woman and generously impregnating his infertile followers) quickly earns him converts eager for any religion that promises dramatic results. But Magloire, drunk on his own power and conviction, takes things too far, leading to a bloody conclusion that is somehow both sobering and hilarious. 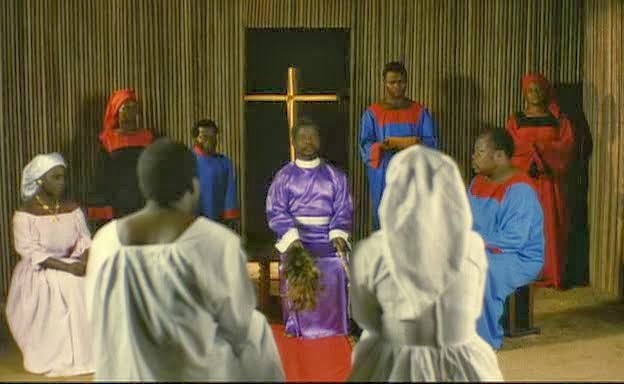 Outwardly, In the Name of Christ is a relatively simple satirical parable about the dangers of false prophets and blind faith, but it gains added power from the lead’s fiery performance as Magloire the Great and the particulars of its African perspective. 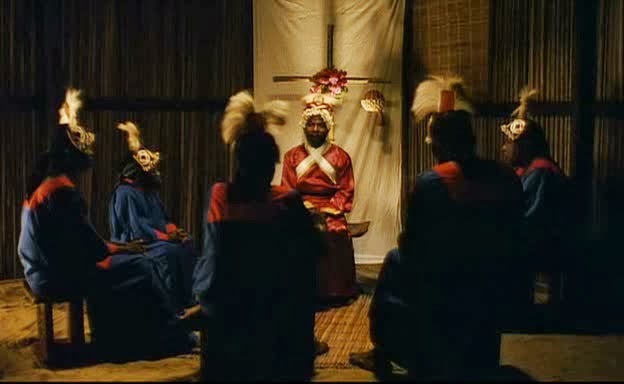 Though white men appear only briefly near the end, the distinctly outside influence of Christianity is central to the film's commentary. 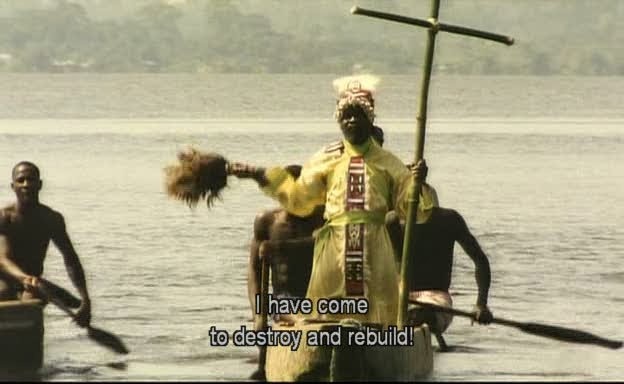 This is a film about religion as a form of imperialism. It's about the unhappy truth that those who are the worst off, those who cling to hope, are often the easiest to dupe. And it dares to ask whether Westernization did much more than change one set of dangerous superstitions and self-serving leaders for another. But it also shows how imposing one's beliefs by willpower, manipulation and force can backfire, even, or perhaps especially, when the perpetrator is utterly and unthinkingly convinced of their own infallibility. As a ‘comedy’ it’s rather dry and pointed, rarely laugh out loud funny, but the tone fits it terse, unforgiving message.